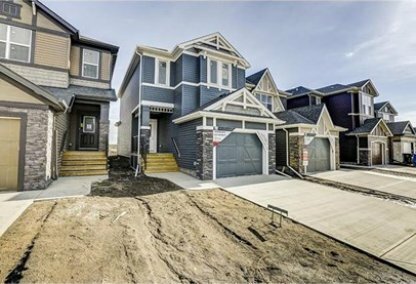 Browse today's newest Legacy homes for sale in Calgary! 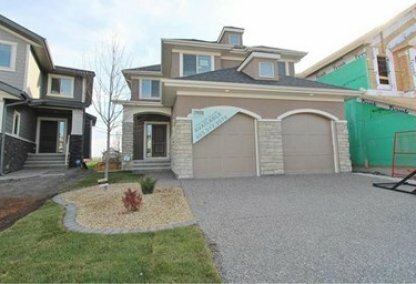 Legacy is the latest neighborhood in Calgary located within the south zone. While currently under construction as of 2012, developers have already selected an outstanding location in between Bow River to the west and Macleod Trail to its east, wherein the latter shall permit convenient access to the downtown area. Schedule a guided home or condo tour with your Legacy Calgary real estate agents today! Legacy housing market statistics: As of April 25, 2019 there are currently 75 properties for sale in Legacy listed as active, with an average asking price of $478,002. The highest-priced property is $1,149,000; the lowest priced property can be purchased for $139,900. Legacy neighbourhood listings have an average price of $281 per square foot, based on listings with 3.1 bedrooms, 3.0 baths, and 1,721 square feet of living space. Looking to sell or buy a home in Legacy Calgary? Call Justin Havre at RE/MAX First - 403.217.0003, your neighbourhood Calgary real estate team. We are Legacy real estate agents and experts on the Legacy housing market in Calgary. Master plans describe Legacy as a fairly large community with a total area of roughly a thousand acres. Moreover, 300 acres is to be allotted for parks to help preserve natural habitats within the neighbourhood, which is great for future inhabitants who enjoy Mother Nature. Legacy is designed to cater to the varying needs of home buyers today. Developers intend to construct approximately 6,500 residences, following different housing formats, to accommodate singles, couples, and large families with different perceptions of the "ideal home." Phase I of urban developments will include numerous entry-level and mid-priced homes, with prices ranging anywhere from $270,000 to $700,000. Future home owners who prefer staying physically active will be pleased to know that the community intends to create pathways (great for hiking or jogging) going through the preserved forest situated at the rear end of this neighborhood. While no word has been given as to what types of recreational programs the community will offer its tenants upon its completion, there are still a number of facilities close by that render a diversity of recreational opportunities, including picnicking at parks, or utilizing the different sports fields. As for neighbourhood amenities, Legacy's future occupants can have their dining, shopping and entertainment needs satisfied through numerous properties located along Macleod Trail. Alternatively, other parts of the city can easily be accessed with public or private transport through major roadways leading to the downtown area. Members of the Legacy community with children can bring their kids to study at one of numerous schools nearby, such as St. Boniface Elementary School, Nickle Junior High School, and Dr. EP Scarlett High School. Thinking of buying or selling a home in Legacy Calgary? Let our local real estate agents help guide you through the purchase of your next property, or to professionally negotiate the sale of your current home. As local Legacy real estate agents, we're experts on the market dynamics unique to the Legacy real estate. We'll get to work today! Contact Justin Havre at RE/MAX First - 403.217.0003 to learn more about buyer or seller representation. Planning to sell your Legacy home? Check out our home evaluation tool, where you can instantly view Calgary Homes Values online!